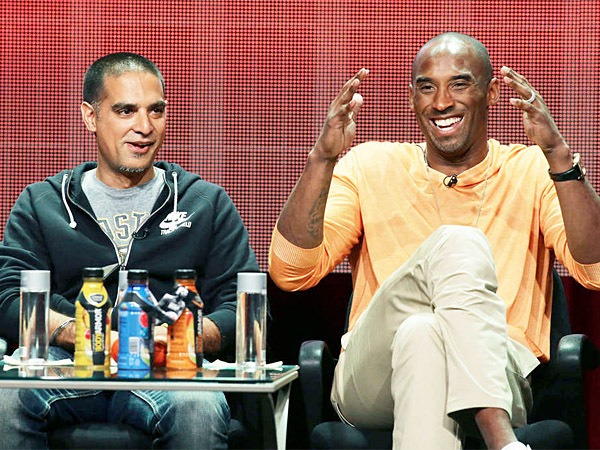 Lot of us are thinking why is Kobe making sneaks that kook like they from the 90s? We all love the modern feel of the Kobes brand the last 2 decades. This shoe goes back to the past, the 90s style leather, hightops, balling on hard courts. Kobe accepts Kaepernick challenge and gives 10K for Youth Service Inc. Charity in Philadelphia. After being black balled by the #NFL for protesting police shootings of black men and systematic racism. Kaepernick pledged to give a million to charity and has started social awareness campaign on police brutality and racism. Kobe had mentioned if still playing he would take a knee. Like Ali, Kaepernick has started a revolution with this heroic act. The Lakers head to Brooklyn with a 19-31 record and no Lonzo Ball. They face former Laker first round pick, D’Angelo Russell. 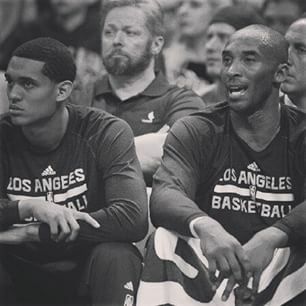 The real question is, whether Randle or Clarkson, will be traded by Feb 8th. The previous game against Orlando was a no show by the Lakers. As the Magic played a dispirited squad. With 32 games left, fans hope the Lakers will give effort on the remainder of the season. Photo by Kishan Mistry in Toronto. Kobe Bryant ranked No. 33 on Forbes 2016 look at the 40 Richest Entrepreneurs Under 40 with a net worth of $350 million. He finished just behind Instacart founderApoorva Mehta and GitHub co-founder Chris Wanstrath, who are both worth an estimated $360 million. Behind Bryant is boxer Floyd Mayweather and Honest founder Jessica Albawith fortunes of $340 million. Probably during my second year [in the NBA]. It takes more time to keep those relationships going. I was just really obsessive about becoming one of the all-time greats. I just loved playing the game so much that everything took a back seat. But I had to make a choice. Once I made that decision, the game became everything to me. Kobe’s rehab 1 day at a time the true story of the GOAT. Lakers inch closer to the first pick as Hill injured for two weeks. kobe bryantkobe rehablaker tradeslakers tankwww.kobebryant.ca. 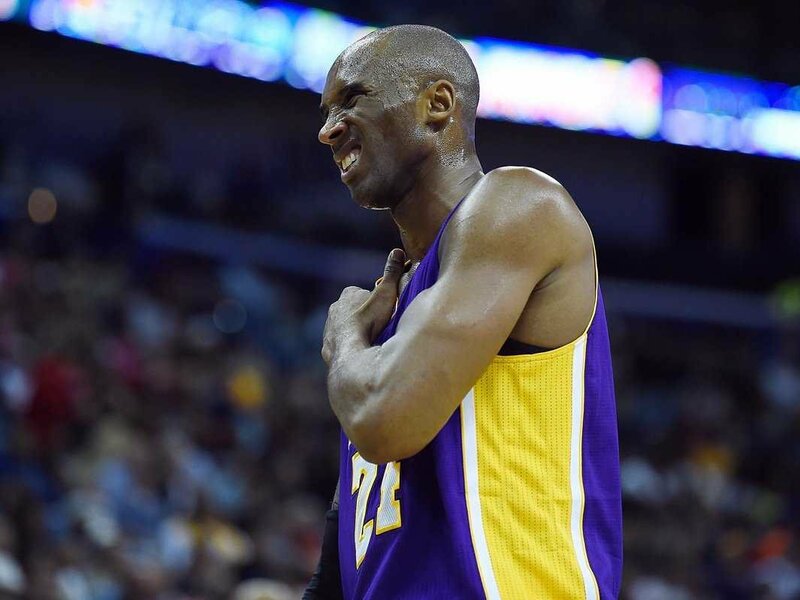 Here’s the video of doctor telling Kobe about his torn rotator cuff. With Kobe out for season a top 5 lottery pick is certain. Kobe will be back stronger than ever. This man never gives up. Kobe’s dedication which is second to none has made him one if not the greatest of all time. Kobe has never been a player who lets an injury beat him. That much is certain. Whether he is out for this year, we all know he will be laced up next year. Hopefully for Kobe he will have a much better supporting cast and some scorers. Its obvious this year there was little firepower and too much pressure on the Mamba. While no Lakers fan can blame Lin for there troubles a little more consistency was expected from the Taiwanese American bible belter. 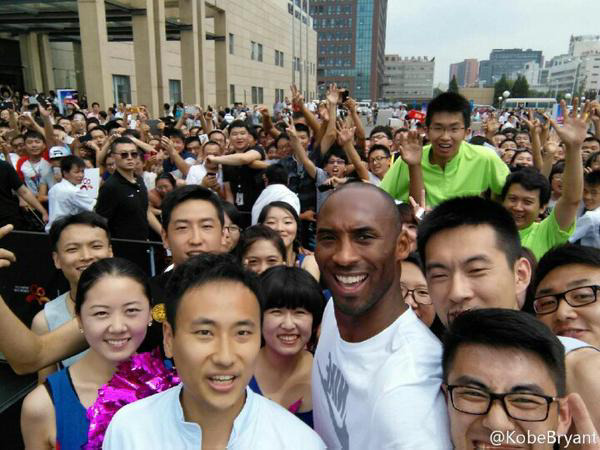 If you are a Kobe fan know that he will do everything in his power to come back next year for an epic year. My guess is we got the greatest for at least two more years. But that is also based on if the Lakers front office is really serious about getting some free agents. Two years without the playoffs is enough. In the mean time remember Kobe like all good things is still hooping. Bryant averaged a team-high 35.4 minutes during the Lakers’ first 27 games, and Scott again questioned whether playing Bryant too many minutes earlier this season led to the shoulder injury. This is a recoverable injury. Bad karma has been coming down on the Lakers. Kobe had been selected to the All Star game to start before this injury happened.